For my 2nd showcase of my #Vectober Instagram posts is some nav pins in a food style. 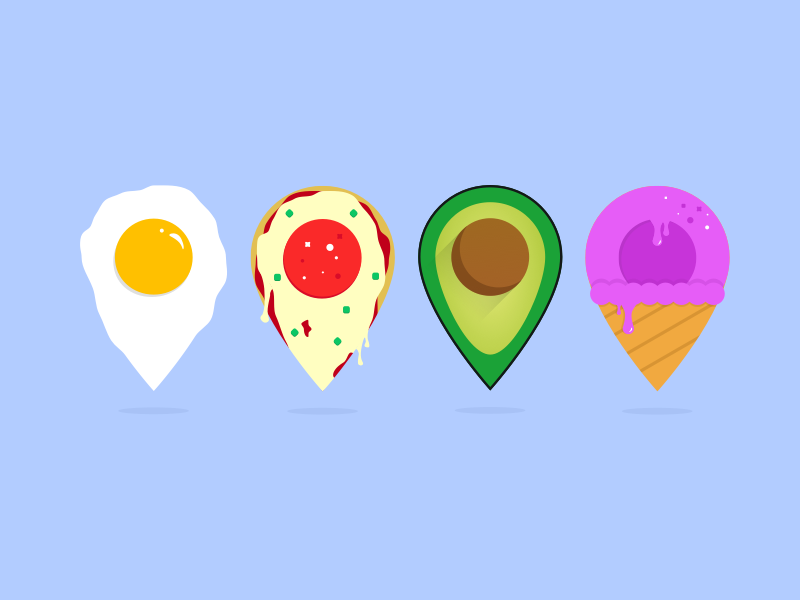 Find your eggs 🍳 , pizza🍕 , avocado🥑 and ice cream🍦 here 😋 . Check out my Instagram to see all my Vectober uploads!